First created in 1935 to be a “conservation and reclamation district” for the Grand River, the Grand River Dam Authority has been involved in the protection and preservation of Oklahoma’s natural resources ever since. With the establishment of its Ecosystems Management Department in the early 2000s and the completion of a state-of-the-art water quality monitoring laboratory in 2010, GRDA brought an even greater focus to water protection and preservation. Today those efforts continue to expand. With the responsibility to preserve and protect the waters of the Grand River Watershed – including Grand Lake, Lake Hudson, W.R. Holway Reservoir and many tributaries – new research-related programs are always being explored. Whether its bacteria management, nutrients research, metals, zebra mussel monitoring, fisheries enhancement or a number of other studies, GRDA’s lab is equipped and involved in the research. However, that research never takes place in a vacuum. Since its beginnings, the department has worked with other resource and research agencies in Oklahoma and across state lines (the watershed reaches across four states). Through initiatives such as the Four State Watershed Conference (established and hosted by GRDA) and collaboration with Oklahoma State University, the University of Oklahoma and other institutions that resulted in both equipment and research assistance, much progress has been made on Oklahoma water quality management in recent years. Through that collaboration, the department produced a bacteria management plan that may be adopted as a guidance document for the state. Also approved in 2015 by the Federal Energy Regulatory Commission was an updated dredging management plan that further protects wildlife. Another example of collaborations with other agencies and GRDA is the department’s work with the Resource Conservation Partnership Program, directed by the Oklahoma Conservation Commission, to implement best management practices in the watershed to stabilize stream banks, enhance riparian forest buffers and reduce runoff into the Neosho River and its watershed. 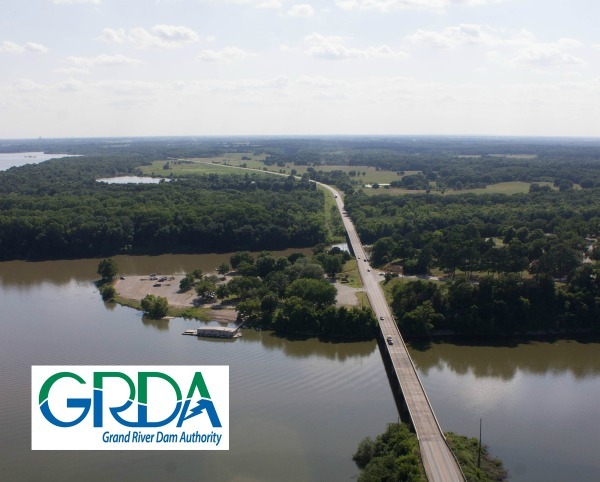 For the public, the department provides updated water quality information via an interactive “water quality map” on grda.com and also updates its activities on the “Grand River Dam Authority Ecosystems & Watershed Management” Facebook page. These updates are possible due to the comprehensive water quality monitoring program that encompasses all three project lakes. In short, the original mission from 1935 has not been altered, but rather strengthened and expanded.